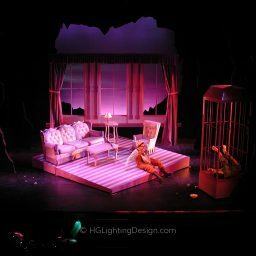 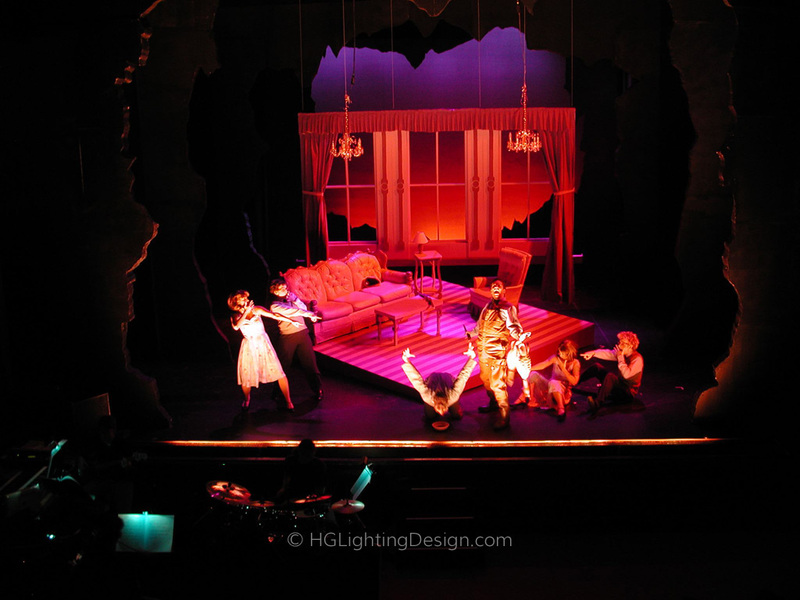 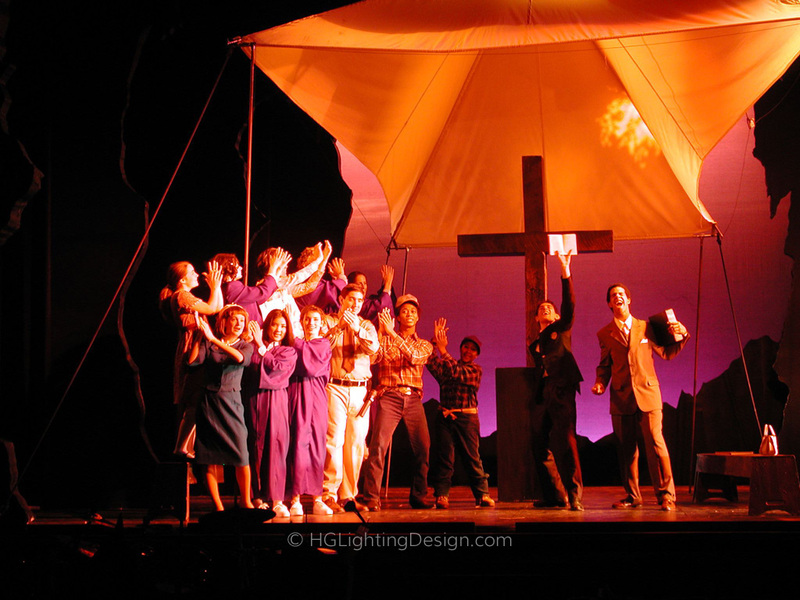 Batboy the Musical was produced by the Yale Dramat at Yale’s University Theater and directed by Shilarna Stokes, with scenic design by David Korins. 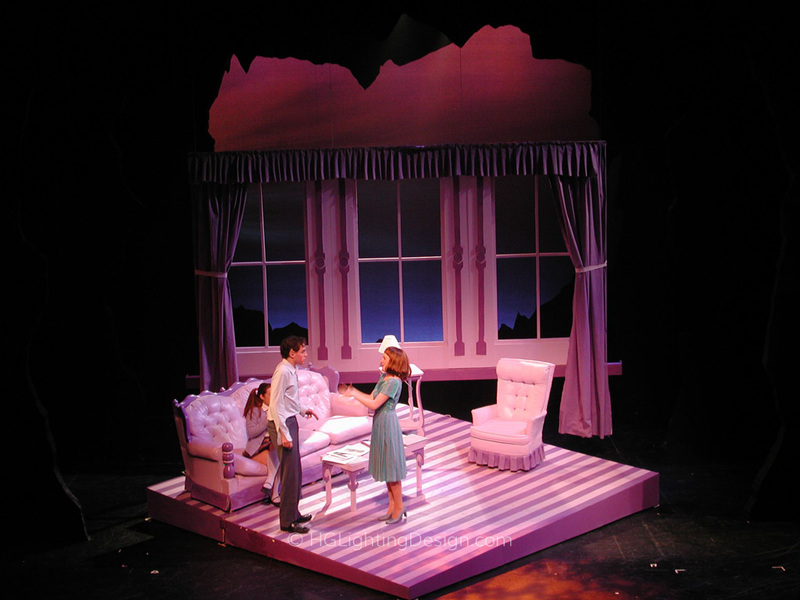 This show is a wonderful musical that had a successful run Off-Broadway. 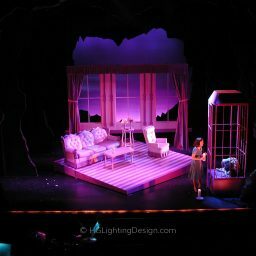 In New York it had a very small stage so the design elements were minimal. 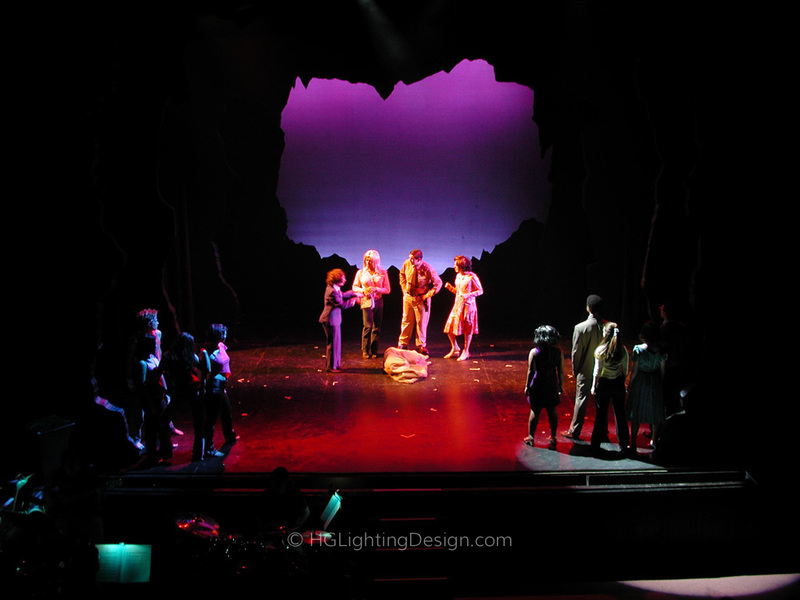 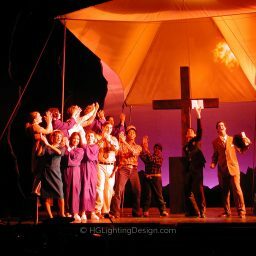 On Yale’s huge stage we were forced to re-invent the show and we were able to make Batboy’s world larger than life. 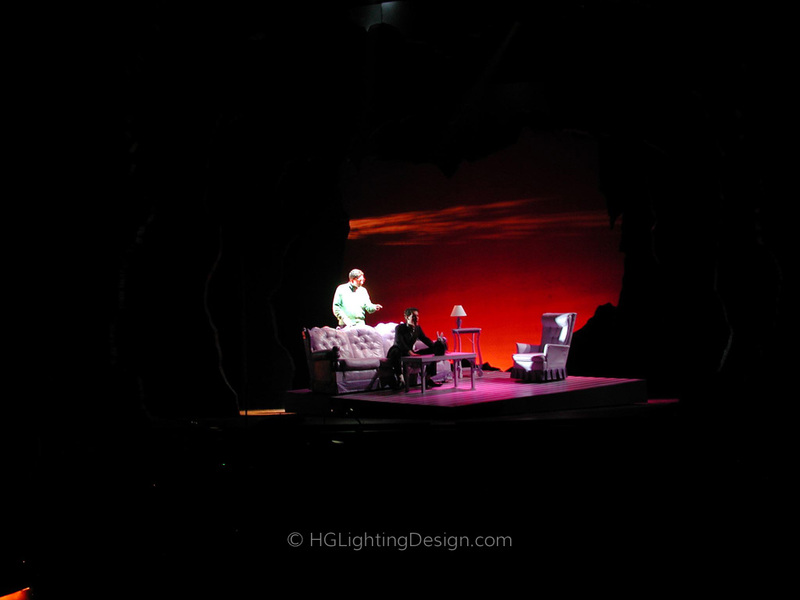 Special notice to David Korins’ wonderful scenic design. 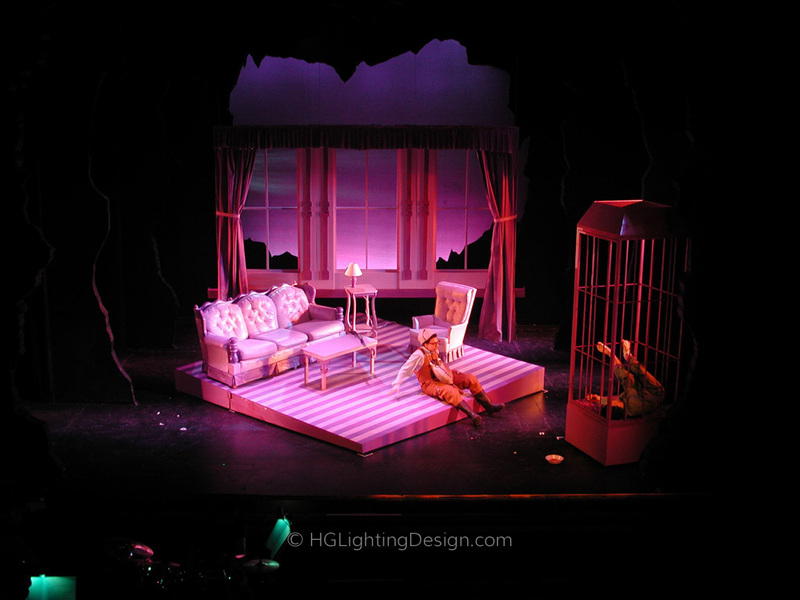 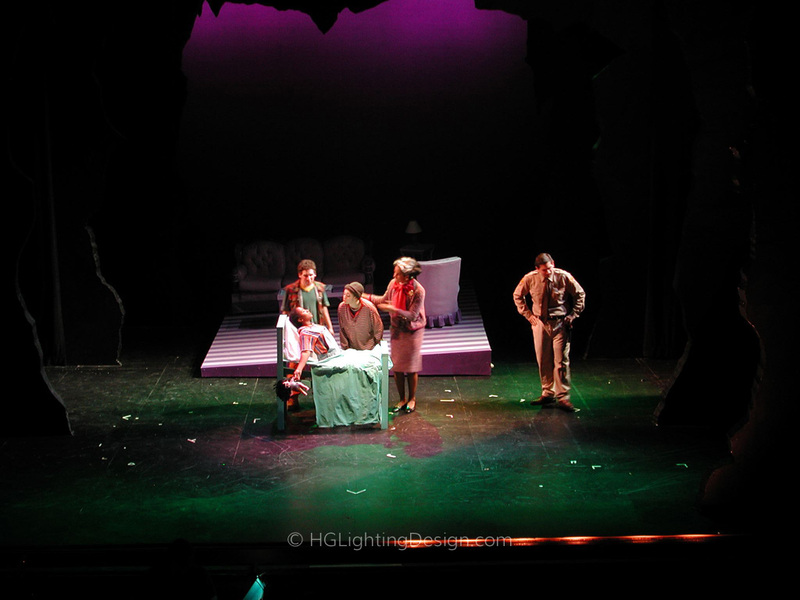 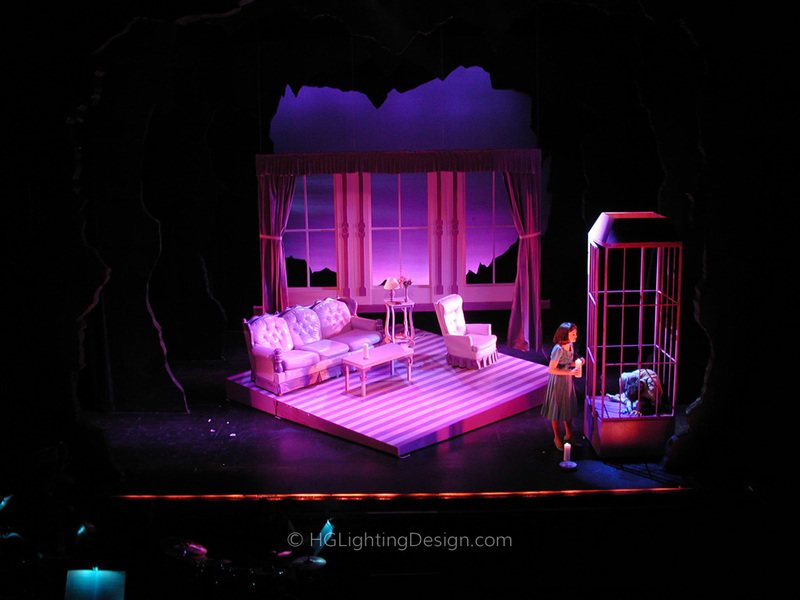 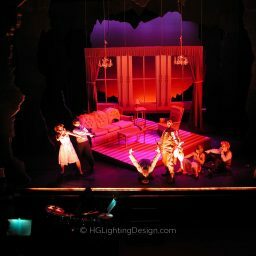 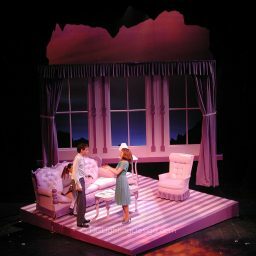 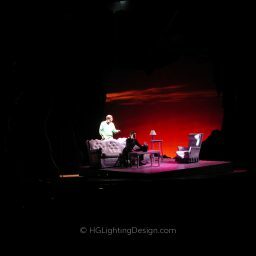 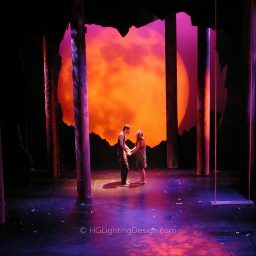 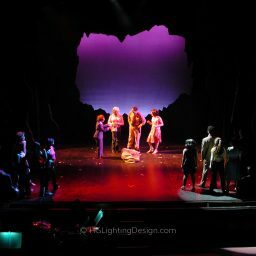 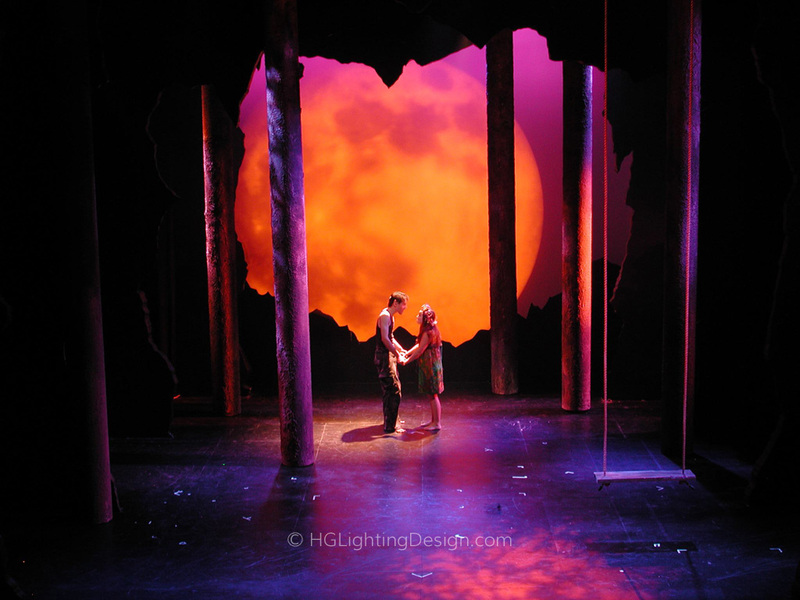 The moonrise in particular spans the stage and emphasizes Batboy’s loneliness. 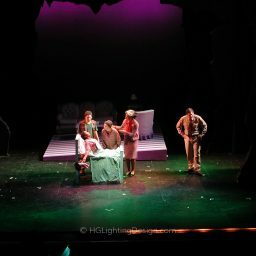 This production garnered critical acclaim locally and on the internet where “Batophiles” flocked to see it and discuss the production.